Do you agree with John? “Not completely,” maybe you’d say. The Boy in the Striped Pyjamas began with this quote. You’ll easily get some clues. Whether or not you like kids, you’ll love Bruno. 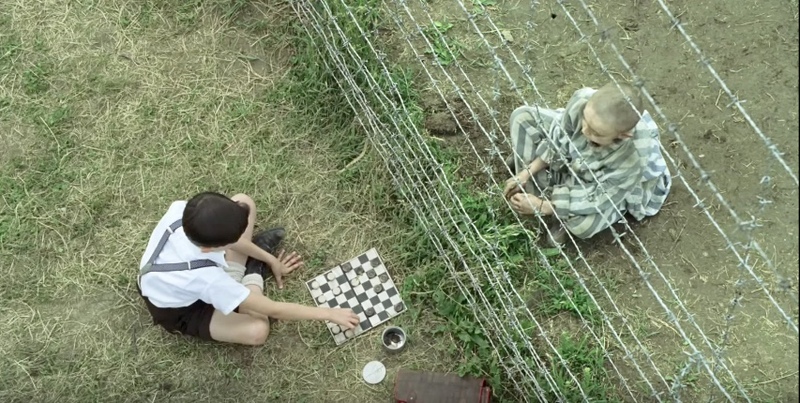 Your sympathies will go to Shmuel. Plus you’ll get a fresh and crash review of History. I know it’s foolish to say that the past is better than now. But who doesn’t miss childhood? The license to run wild into the woods, play make-believe games with friends whom you consider best friends for life, and explore just about any corner of a house or a place to one’s satisfaction? Had we all known we’ll leave out the fun in life and friendship when we reach adulthood, none of us, as kids, would want to grow up and old. You’ll notice that I don’t comment much about the hostility of Germans and the horrible fate of Jews. A coworker of mine got offended when I told her that I sympathize with the suffering of Jews in the hands of the Nazis. She reminded me of 2006 Israel-Hezbollah war, where the Jews (Israelites) mercilessly bombed towers and buildings in Lebanon. I could only gaped at her in astonishment (and yeah, out of embarrassment for failing to catch up on my history lessons after college graduation).